Vaccination is fundamental in providing a comprehensive health service and in the past there were many preventable deaths due to a lack of such programmes. One of the reasons that families were large in rural Kenya was because it was expected that not all children would reach adulthood and so it was essential to keep the numbers viable to enable the land to be farmed and for the elderly to be cared for. Even in Kenya today 1 in 7 children will die before their 5th birthday. Until last year at Buburi clinic we were unable to provide this service as we did not have the type of dual fuel fridge that can run on gas and electricity and is essential for storing vaccines safely. Fortunately in 2017 we were able to get a KEPI fridge and the clinic has now become part of the Kenyan vaccination and immunisation programme. This programme is comprehensive, with many of the same vaccines that we use in the UK being offered to Kenyan children. 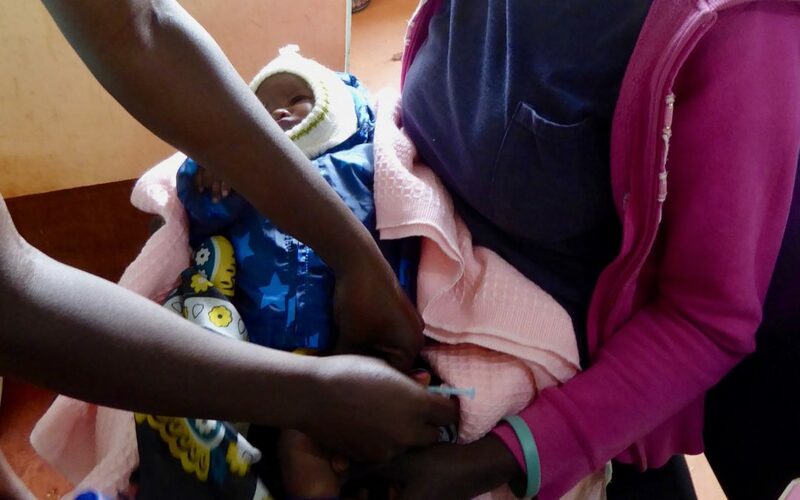 Pneumonia and diarrhoea are in the top 3 causes of death in children under 5 in Kenya but since the introduction of the pneumococcal vaccine in Kenya in 2011 there has been a massive 42.7% drop in pneumonia cases (WHO). Rotavirus is the commonest cause of diarrhoea and a vaccine has been introduced to reduce that too. In rural areas accessibility to vaccines has been part of the problem so with the introduction of a vaccination programme at Buburi it will make it easier for mothers to bring their babies to the clinic to be vaccinated. Since the service started in March 2017, 4688 vaccinations have been given by the nurses at the clinic ensuring that there is less chance of children dying from preventable diseases. Investing in the health of babies and children is one of the main objectives of Friends of Buburi, helping to improve the health of the community and increasing their resilience.